This past Sunday I attended the kickoff event for this year’s Philadelphia area One Book One Jewish Community program.  I am a volunteer member of the implementation committee for this group, and I help review selections and choose a book. 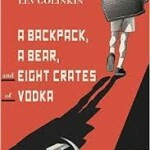 This year we selected a memoir called A Backpack, A Bear, and Eight Crates of Vodka by Lev Golinkin. It tells tells the story of Lev and his family. Soviet Jews, leaving the USSR and settling in America. The kickoff event took place at Gratz College and about 400 people attended. I had the honor of interviewing Lev on stage after his talk, which was fun. Open Book Bookstore, our store, was also the official bookseller for the event. After the event, a woman came up to the book table and asked me where I got the books, i.e. from whom I purchased them. I replied to her: “I am a bookstore.” It turned out she too worked at a bookstore, and she was hoping no doubt that her store might provide the books. A good thought on her part, but I’ve got it covered. But what really struck me the next day as I was recalling this interaction was the way I replied to her, how, without really stopping to think, I simply said: “I am a bookstore.” It’s what, in high school English, we learn to call personification. Actually, now that I think of it, it’s the opposite of that. In personification, human qualities are given to inanimate objects. Here I made myself into an inanimate object. Except our bookstore is not inanimate. It’s a very vital, living place, full of activity and conversation, and filled with a stream of thoughtful, interesting people. I spend a lot of time there, and it has begun to feel like part of me. Most of my conversations these days, anywhere and with anyone, are in some way about books, and I spend huge chunks, if not most, of my time reading books or ordering books, managing inventory, and selling books. Indeed, I have become, and I am, a bookstore. Come visit me and my bookstore at 7900 High School Road in Elkins Park, PA.
And if you’d like to read Lev’s memoir, which I recommend, we have it in stock or you can get it here. I’ve started to imagine Open Book as a “Salon” for smart and interesting people who share the love of reading and writing, like the Algonquin Table of years past. I hope that more people discover it and support your effort. It’s wonderful having an independent bookstore in our community.